Are you actually running those errands or are they running you? Whether it's for that big work project or just your everyday life, you need an organization system that doesn't take up more time in entry than it's saving in implementation. Enter the 2DO Task Manager. 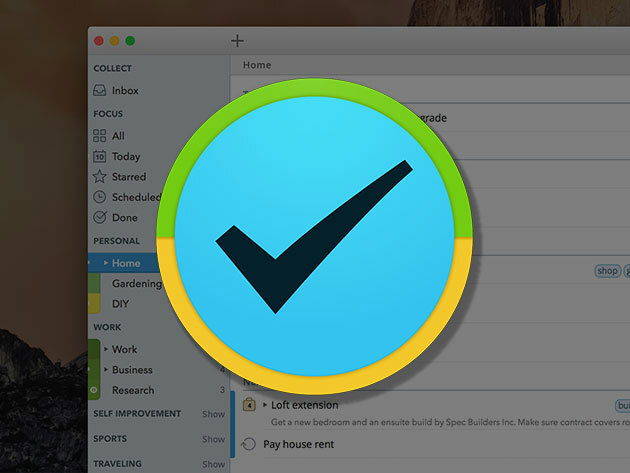 Using 2Do's Quick Entry option, you'll be able to see all your tasks in color-coded lists within minutes. You can sort them by date range, location and more with an exhaustive set of tags, and schedule each item with a simple drag-and-drop. You can even set reminders when you're within range of a location-specific task on your list. And with support for Dropbox, Reminders and more, you can check in and stay on target no matter which device you're on. See why this is the one that racked up 4.8 stars on hundreds of Mac App Store reviews. Pick up a lifetime license to the 2Do Task Manager for $29.99 - a holiday drop off the already sale-priced $39.99.